Shimmering iridescent precision cut mother of pearl are meticulously placed between brilliant rows of AAA quality cubic zirconia. This exquisitely charming ring was "Custom Fit" for any hand. Set in sterling silver and finished in rich rhodium, it is sure to become your fast favorite. Sizes 5-12. 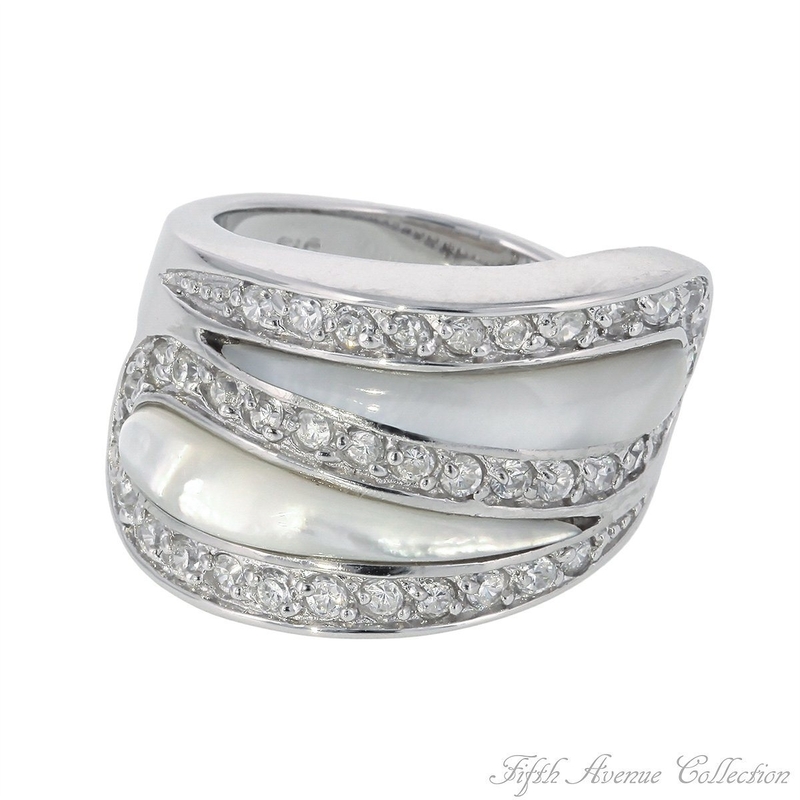 Shimmering iridescent precision cut mother of pearl are meticulously placed between brilliant rows of AAA quality cubic zirconia. This exquisitely charming ring was "Custom Fit" for any hand. 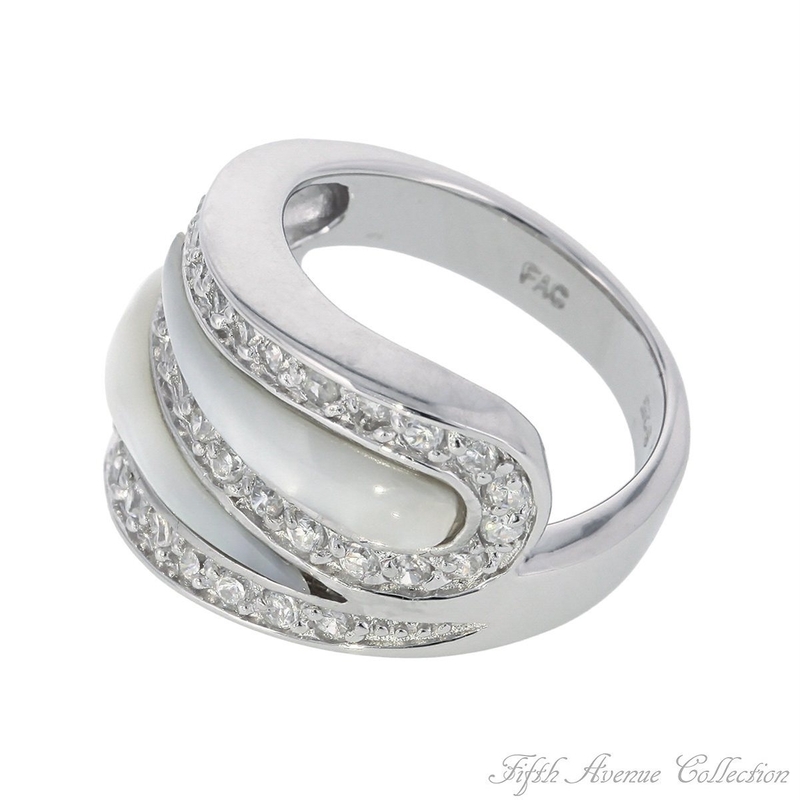 Set in sterling silver and finished in rich rhodium, it is sure to become your fast favorite.